The Miami RedHawks have fired head coach Enrico Blasi after 20 seasons in charge of the program, the school's director of athletics confirmed on Tuesday. "This is a difficult day for Miami Athletics and our hockey program," said David Sayler. "The hockey program has had strong historical success under the guidance and leadership of Rico. In addition, Rico is an exceptional person of character and devotion. In recent years, Miami hockey has fallen short of expectations, both within our conference and nationally." A native of Toronto, Blasi posted a 398-311-76 record. 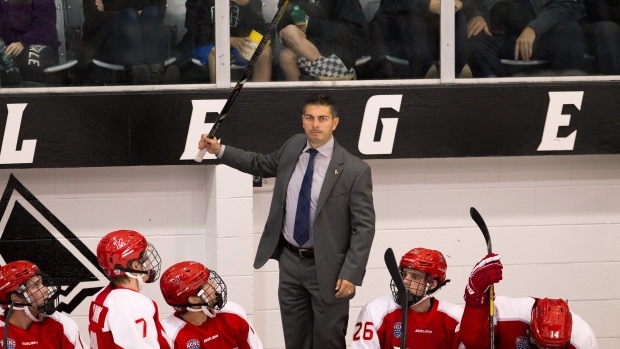 Under Blasi, the RedHawks made 10 NCAA Tournament appearances, including reaching the Frozen Four on two occasions and advancing to the final in 2009. "The NCHC is the strongest conference in hockey and it's imperative that we become more competitive for conference championships and NCAA appearances," Sayler continued. "I want to thank Rico and his family for their service and commitment to Miami University and the broader Oxford community." Miami says a search for Blasi's replacement will begin immediately.